Ground clearance is one of the important dimensions of a car. It is defined as the maximum height of the lowest end of the vehicle from the ground. Getting a car with decent ground clearance is important as it prevents getting scratches on the vehicle’s lower part on bumpy roads. 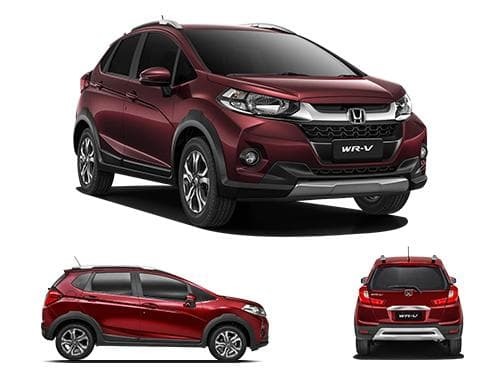 Honda WR-V has a ground clearance of 188 mm, and as compared to other cars in the same segment, it is lesser than that of Suzuki Vitara Brezza’s 198 mm, Ford Ecosport’s 200 mm and Hyundai i20 Active’s 190 mm. With the high bonnet, Honda WR-V is comparatively higher than Jazz from the same manufacturer. Compare ground clearance of Honda WR-V with its immediate competitors. Ground clearance of Honda WR-V competes directly with Toyota Etios Cross, Fiat Avventura, Volkswagen Cross Polo, and Hyundai i20 Active. Put straight, any ground clearance crossing 170mm is considered to be decent, whereas, in case the ground clearance of a car is below 160mm, it's not good for Indian roads. Another thing that should be considered while making a buying decision is that cars with ground clearance of less than 160mm would be fine if the intended driving terrain doesn't have any bumps. Think of what sort of roads do you have in your locality and at your expected visits, then zero down your purchase.